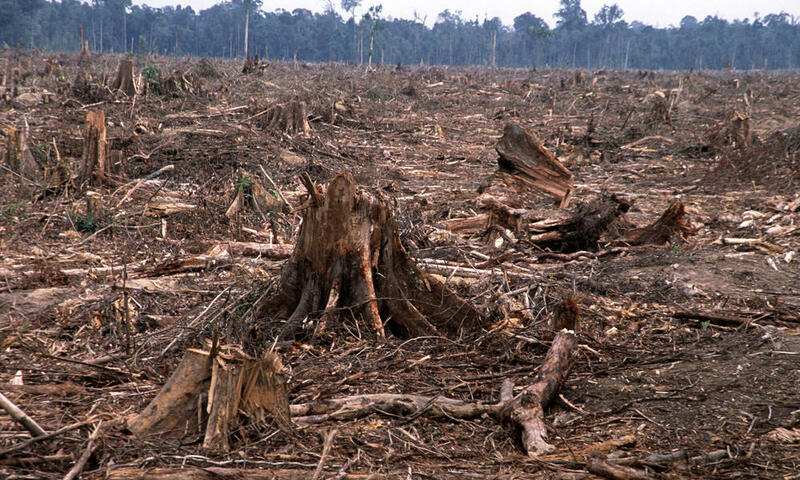 Deforestation is growing at a frightening pace, and often outside the constraints of the law. It is a phenomenon of alarming relevance not only for the more concerned to protect the environment but also for those who are interested in the conservation of forests in terms of landscape. Every year the planet’s surface loses forests and turning them into fields for cultivation (this is a direct result of the global population: there are more mouths to feed, more fields, fewer trees). In the atmosphere, if on one hand the plants help maintain a stable concentration of carbon dioxide, on the other hand the use of fossil fuels and deforestation are causing an increase of CO₂: this phenomenon has direct influence on the greenhouse effect and the global warming. In addition, deforestation is one of the causes of the increase in phenomena such as desertification, landslides in rainy and hilly land, diversion of resources for indigenous peoples. When it comes to deforestation we must not think that it is a phenomenon attributable only distantly Amazon or Southeast Asia. Unfortunately, there is deforestation in Europe, especially in Romania, where a third of its surface is covered by forests. According to a study by Greenpeace in Romania it disappears every now an area of ​​forest equivalent to three football fields and the Romanian government has estimated the illegal cutting of about 4 million cubic meters of timber annually. Breaking down the forests amplifies the risk of natural disasters. Just think of Asia, the victim of a relentless deforestation, which is by far the continent most plagued by events such as floods, tsunamis, floods and drought. Forests are the green lungs of each ecosystem, ensure the life of animals and humans that live there and work against the climatic imbalances. Public opinion for several years puts more attention to issues related to deforestation and the actions of “re-forestation” are increasing.